We flow from day-to-day, more out of convenience than anything else. We are used to each other’s company, and even though what we had in the beginning is very different from what we have now, it still seems easier to just keep going. We so desperately try to please everyone else, just to be accepted. But if the only person who actually accepts us unconditionally is right beside us, why do we take them for granted? Because they are not enough? We need to please everyone, and the fact that the person next to us actually asks for some attention back just gets on the way of searching ways to please others. So we end up pushing them away. It is never easy to face your demons from the past, but if we don’t we just end up wrecking our own life’s again and again, and in a worse case drag along with us. You need to learn to love your self to allow other to love you. Sometimes this can be harder to do than it sounds. Sometimes we have so deep-rooted baggage, that our self-defence mechanism hurried deep down somewhere we would not need to deal with it, and if we try to get close to it, every alarm bell in our body goes off. But for the sake of our loved ones, our happiness and the love it self, we need to do this. 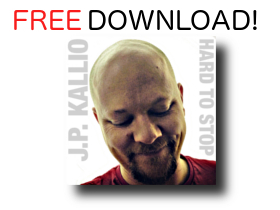 This is what this week’s song “Who am I to You?” is all about. I hope it is a little bit of food for thought for all of us. Don’t take your loved ones for granted. 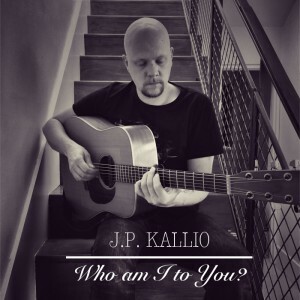 Acoustic Guitar Alt-Country Americana Country Country music Folk Folk music Indie folk J.P. Kallio jpkalliomusic.com Love song New song Singer/songwriter Who am I to You?